TeenHelp is pleased to welcome a new Newsletter Editor to the Newsletter Team. We congratulate and wish Rishy (Saiyouri) all the best in her new position! 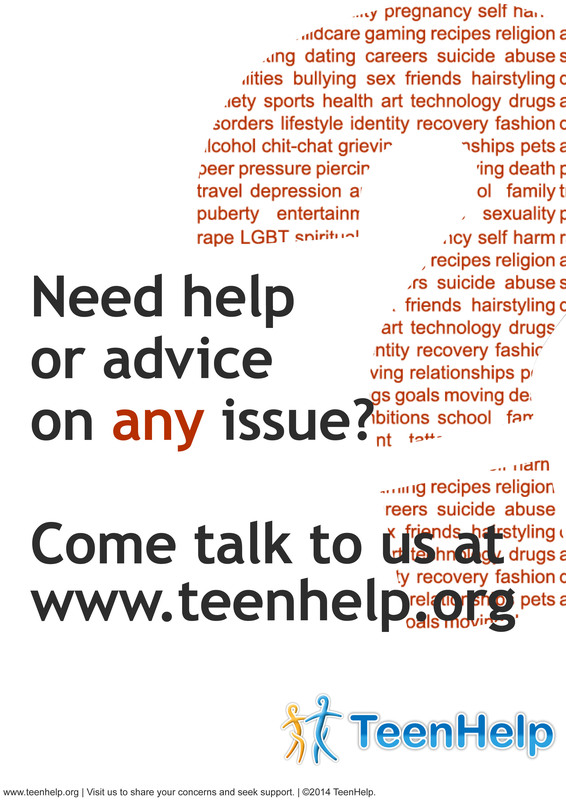 TeenHelp's promotional poster has be re-designed. Its fresh new look is more eye-catching and printer friendly. To help promote TeenHelp, follow the link below. Try putting a poster up in your school, shopping centre or local library and help others find the support they need. Nick Vuljicic provides a unique look at judgment, along with a unique story. His experiences will challenge you to look at yourself, and others differently. Watch this video to learn more about his story. Getting a flat tyre can completely ruin your day, especially if you don’t know how to change the tyre to be able to get back on the road. Take a look at this video to get step-by-step instructions on how to change your tyre. Sometimes, making food can be a harder task than you are willing to tackle. However, this video provides you with tips and techniques to make a cheese omelette that anyone will enjoy! Pregnancy + is a mobile application that was developed to allow people to follow their pregnancy on a daily basis. By using Pregnancy +, you are able to log doctor appointments, personal weight, diets, and much more. Pregnancy + also offers you a variety of different features such as the ability to keep track of “kicks” and contractions, create a baby shopping list, browse thousands of baby names, and much more. Pregnancy + is very user friendly and is available for free on Apple devices through their application store. 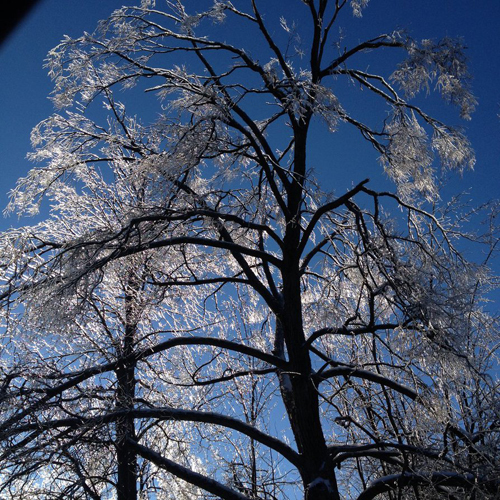 Warm, sunny weather can be great, but too much sunlight can cause problems. Minor issues include things like sunburn and peeling skin. However, excessive exposure to sunlight can cause serious damage to your body. Use these tips to stay safe while in the sun. Hydrate. Water keeps your body healthy, so a lack of water can cause major issues. Perspiration releases water found in the body, so it is important to drink plenty of water to replenish what you've lost on hot days. Wear sunscreen. This is seen as one of the most basic ways to protect against the sun, but finding the right sunscreen can be difficult. When picking out a sunscreen, make sure to take into account your skin type, skin sensitivity, and the type of rays that the sunscreen blocks (UVA and/or UVB). Keep in mind that waterproof sunscreen would be helpful for activities that involve water or exercise. Cover up. Clothing can be one of your best defences from the summer sun. Sun hats, long sleeved shirts, and trousers (or even just a t-shirt over a bathing suit) cover up areas vulnerable to sun damage and save your skin from harmful rays. Timing. The sun's rays are normally at their strongest in the middle of the day. When planning to go outside, try to pick times either in the morning or the evening to escape the worst of the sunlight and heat. Acne is a skin condition that affects both teenagers and adults. It can cause embarrassment and lower your self-esteem. Follow these steps to keep acne under control. Gently wash affected areas with a mild soap or cleanser, preferably once in the morning and once at night. Washing more than this can irritate the skin and aggravate the symptoms. If you wear make-up, look out for non-comedogenic varieties, which won't clog up your pores. Remember to remove make-up completely before going to sleep. Spots are bothersome, and it can be difficult to completely avoid touching your face and other affected areas, so wash your hands regularly, and keep your nails short. Avoid picking or squeezing spots as this can make them worse or cause scars. If you have acne on your back, chest, shoulders or other areas of your body, wear loose clothing to let your skin breathe. Over the counter remedies can be helpful, but visit your doctor if acne is an ongoing problem, or if it starts to take a toll on your self-esteem. I am back after five years! Some great news! A recovery win! A user returns after five years to post an inspiring recovery story. Read the story here, and remember that recovery is possible. Do you enjoy cooking, or have you eaten something particularly unusual or appetising recently? Share pictures of your meals here! When you are having a challenging time, it can be helpful to think about events in the future that you are looking forward to. Share what you are looking forward to with others here. What's the main computer you use? Computers are popular devices, be it in the form of a desktop, laptop, tablet or phone. Which one do you use as your main computer? People often document their lives in different ways. Some people track it in a journal, while others take pictures. This user took photos of the clouds during a road trip. Painting can be a great, relaxing hobby. In this album, one user shares some of her excellent paintings. Writing down our achievements can increase positive emotions. This user wrote about her achievements this summer. What did you achieve? Take some time to reflect on your achievements, and maybe share it in a blog too! If you have ever had the feeling of being invisible or being left out, join this group to receive support and make some friends along the way. You are not alone. Prejudice is forming an opinion without prior knowledge of the facts. It can sometimes lead to discrimination and have a detrimental affect on one's self-esteem. If you are having to deal with prejudice, join this discussion to learn how to cope.